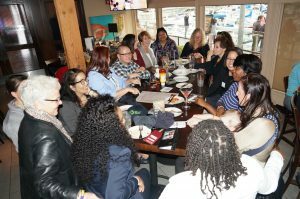 The Institute Class of 2017 had a busy Monday session scheduled for April as they began their Business and Economic Development session day at the meeting room in Shoreline Village. First, they heard small business owners speak about the challenges and prospects of running a business in Long Beach. 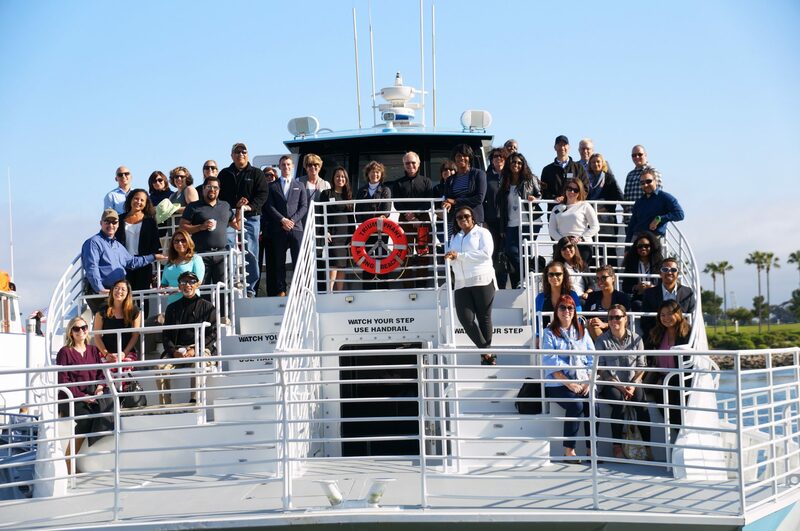 Then, the leaders of the business improvement districts explained their roles toward the business in their district and their work within their communities.Up next was the boat tour of the second busiest port in the nation, the Port of Long Beach. Finally, they ended their day with happy hour event with their mentors at the Yardhouse Restaurant. Click on images for photo gallery. 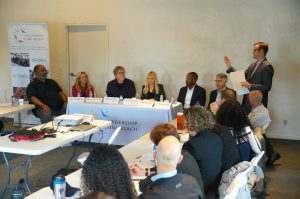 Jeremy Harris of the Long Beach Chamber of Commerce leads a panel discussion with Long Beach small business owners. LLBI Class of 2017, LLB alumni and friends went out on the Port of Long Beach Tour. YLLB Class of 2017 meets up with their mentors at the Yardhouse Restaurant after their session day.